Actress Margaret Chung(鍾麗淇) and composer Vicky Fung(馮穎琪) attended an event function to share their experiences on how to take care of children with health issues. Margaret's older daughter Isabella suffers from a rare genetic condition known as the Wolf-Hirschhorn syndrome. Margaret pointed out she's beginning to see behavior changes in her older daughter after the birth of younger daughter Michela, she said: "Older daughter is 5 years old and younger daughter is 7 months old. She's starting to steal toys from younger sister. If younger sister grabs another toy, she will steal that one too. Although she's being mean to her, I am happy to see positive changes in her." 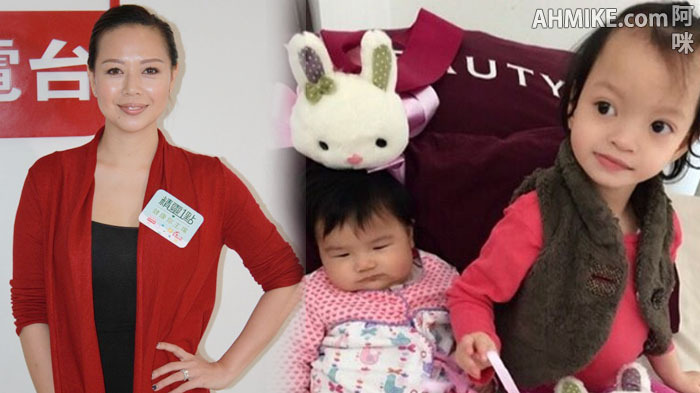 (ahmike.com) She also revealed older daughter still can't talk yet and needs to continue speech therapy. On the other hand, younger sister is already starting to crawl around and learning things faster than older daughter. Margaret admitted she once felt sad over her older daughter's condition but she understands every child learns things at a different rate. When asked if she will go for a son next, Margaret said: "Nah, let me wait until my daughters get along first. I still haven't started teaching yoga yet. I am taking care of my daughters full time right now. I don't want to miss seeing my kids grow up. Yoga will always be there for me." When mentioned her good friend Toby Leung(梁靖琪) is currently dating new boyfriend Chan Gei San(陳基燊), Margaret indicated she's happy for her. she said: "As long as she's happy then I'm happy. I don't know much about her boyfriend. But he seems like a nice guy. Toby like kids a lot. I've been telling her to get married and have kids."